Note: This product has a $17.00 surcharge for Oversized carton. 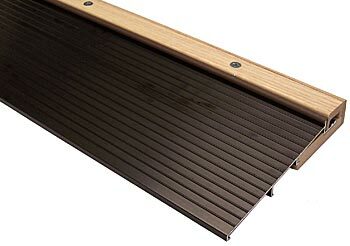 Adjustable oak top door sill commonly found on pre-hung residential doors with a 6-9/16" jamb. Features up to 1/4" of adjustment to compensate for uneven door bottoms. A vinyl moisture barrier prevents water from leaking into casing.